one. 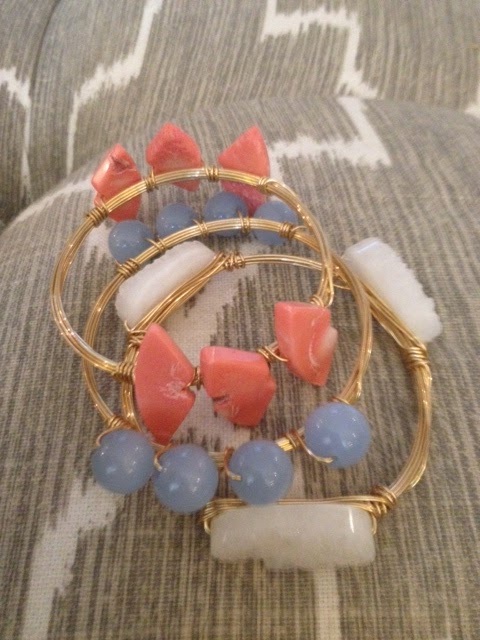 A HUGE thank you to Natalie for featuring my bangles this past Tuesday! And a huge thank you to everyone who has placed an order for bangles! I am so overwhelmed with it and so happy. two. 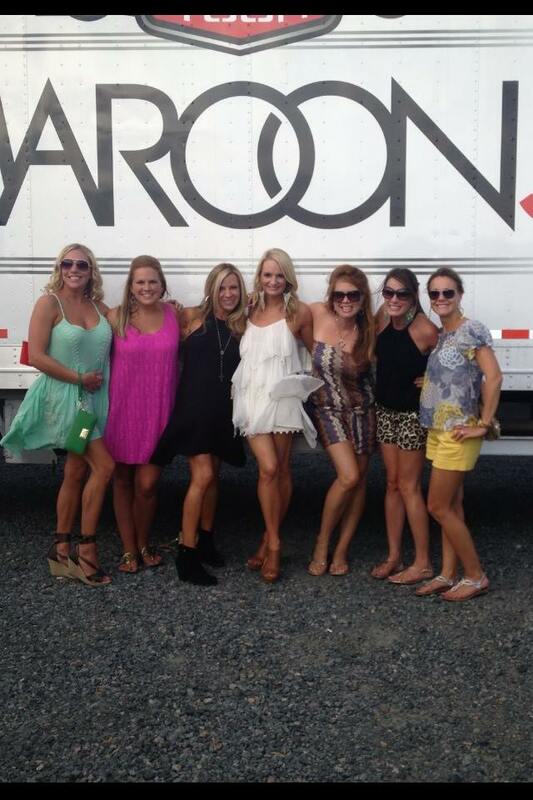 If you follow on Instagram, then you saw that I went to Maroon 5 on Wednesday night. And I didn't just go... 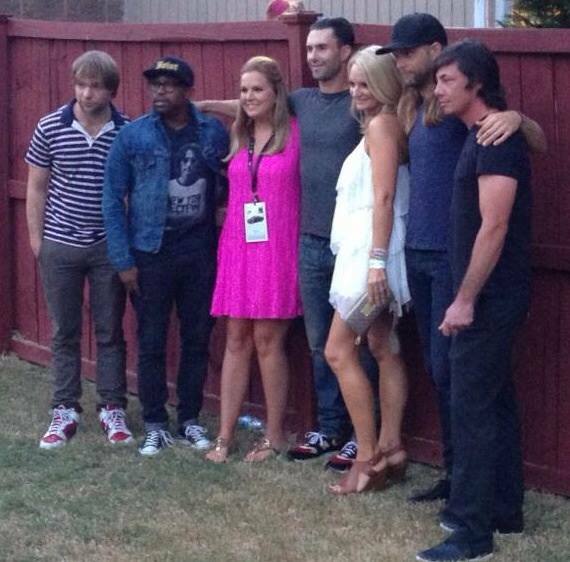 I got to MEET/TOUCH/STAND BY Adam Levine!!! We had VIP passes, backstage passes, etc and were down in the PIT area. My sister is a huge huge fan so I know this meant a lot to her. I had the best time! three. Speaking of the concert...I have learned this past week due to the wedding and the concert that I am getting old. I can't drink like I used to! I used to rarely get hangovers...now it takes me days to recover. This has really made me rethink going out/drinking large quantities of alcohol. four. Healthy lifestyle. This is also related to three. Back in June I mentioned going on a diet and getting in shape for the beach. That didn't happen. But it needs to happen. I need to get my life in shape and get healthy! My hubby can just randomly go on runs and it so impresses me. I can't run to save my life! He is very good about eating salads, protein, vegetables. I love my carbs. I could eat pasta every day. So why am I sharing this? Because I need your inspiration! Please send any good protein/veggie recipes, easy work outs, etc. I don't want a quick fix- I want an overall lifestyle change. Of course I'm not going to become a marathon runner or start a paleo diet or never eat mac'n'cheese again...but I need moderation. I started a Pinterest board to help me out! So please send tips! five. Southern Women's Show is next week! I hope if you're in the Charlotte area you'll stop by. It should be a good time! I'm going to spend the weekend pricing jewelry, planning my booth layout and making sure I have everything I need. Next week is going to be so busy!! You are the luckiest girl!! I can't believe you met Adam Levine! That is SO awesome! I feel ya on the getting in better shape. It's so hard because I too love my carbs and don't eat as many vegetables as I should. Bethenny Frankel wrote a book awhile back called Naturally Thin and it's actually pretty informative. She has 10 rules she swears by and they aren't starving yourself of foods you love or even dieting. I've read the book many times and try to keep them in mind whenever I eat! I'm definitely going to get that book!! I wish carbs had no calories :) hope you had a good weekend! 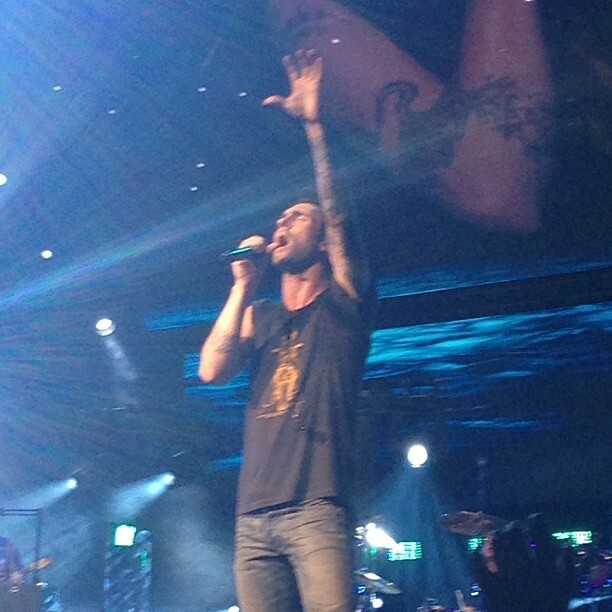 Soooo jealous you got to touch Adam Levine...omg. Good luck with your new healthy lifestyle!